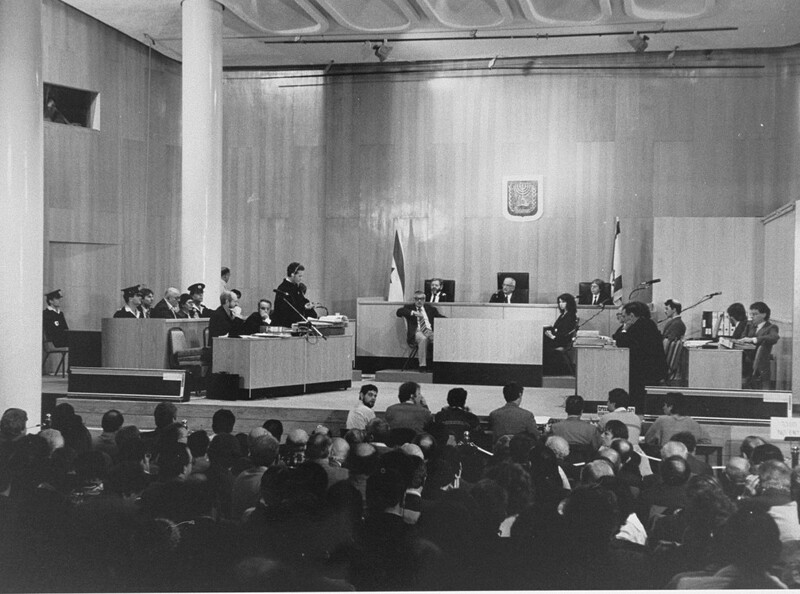 View of the courtroom during the trial of John Demjanjuk. Chief defense counsel Mark J. O'Connor addresses the court during the first session of the trial. Jerusalem, Israel, February 16, 1987.